Apply by May 31 for annual ranking by Dave Thomas Foundation for Adoption. The Dave Thomas Foundation for Adoption is celebrating its 10th year of honoring companies that offer the country’s most impressive adoption benefits, through the 100 Best Adoption- Friendly Workplace list. 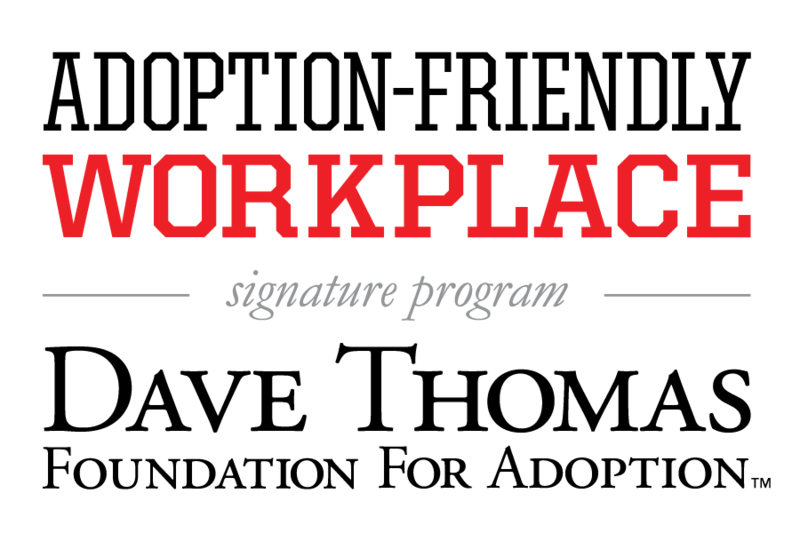 Since the list’s inception in 2006, The Wendy’s Company has earned the coveted title of Best Adoption-Friendly Workplace because of their deep commitment to offering employees substantial financial assistance and paid leave. This year, in acknowledgement of the list’s 10th anniversary and in recognition of The Wendy’s Company’s ongoing leadership in offering adoption benefits, the Dave Thomas Foundation for Adoption will honor them with the distinction of “Forever Family” status. This is a permanent emeritus position that is worthy of their continued support to the cause and it will make the top spot on the list available to another worthy adoption-friendly company. At the Dave Thomas Foundation for Adoption, we believe you are never too old for family and we won’t stop until every child in foster care has a safe, loving and permanent home. Best Adoption-Friendly Workplaces represent companies big and small across the country – and the 2016 list will recognize all employers who complete the survey and offer any type of adoption benefit. The application deadline is Tuesday, May 31. If a company completed the survey in a prior year, a new application must be completed. Complete our free survey at adoptionfriendlyworkplace.org.